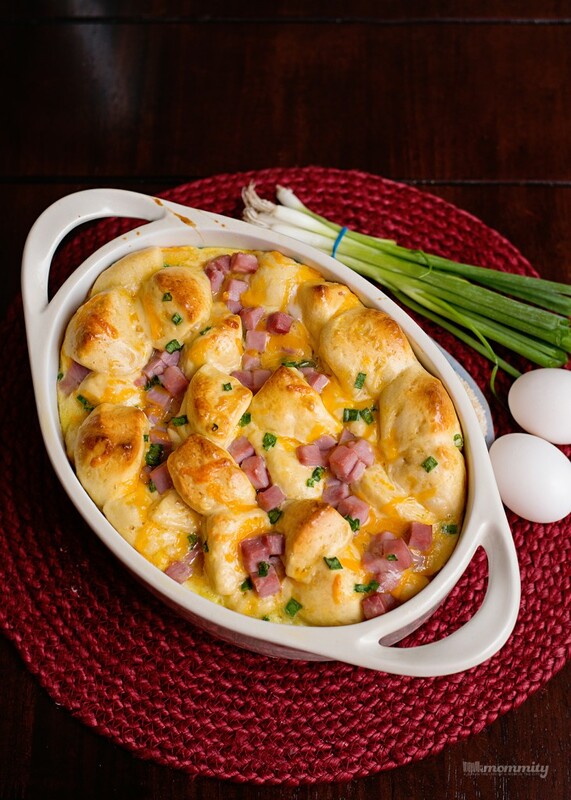 Ham, Egg and Cheese Monkey Bread - Make Ahead, Heat & Eat! The days of busy schedules are ahead and it can be difficult to find time for things like cooking at home. But, we’ve made a goal this year and that goal was to change things in our lifestyle to help our kids grow up a little healthier. We’ve started to work out, stopped drinking soda pop, and the biggest of all, we stopped eating out. It’s so hard to break these habits as adults, so teaching these things to our children at a young age is important. When family meals are made at home, it’s been proven to benefit the health and wellness of children, to fight obesity, substance abuse and to make our families stronger. As they grow older, it will create a positive impact on our communities and our nation as a whole. With September being National Meals Month, cooking at home will be a big focus for us. 63% of Americans decide what to eat less than an hour before eating*. This used to be us! Here is how we do it now. Each week, we make a menu plan and grocery shop off of that menu plan. Our weeknights are busy, and we know this, so our menu doesn’t consist of meal ideas with 15 ingredients. They key is to keep things simple. We know what we have time for and we pick recipes that use few ingredients with very little prep time. 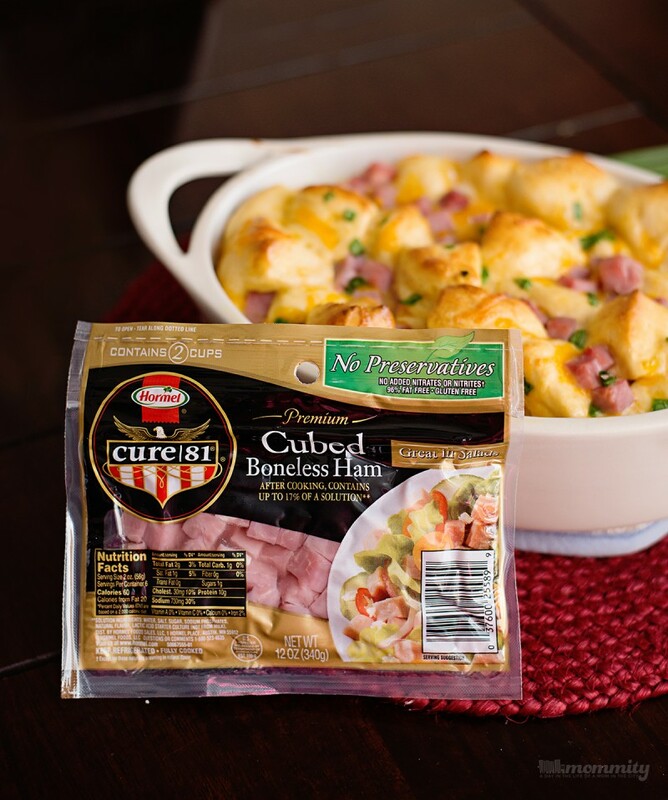 One of our favorite quick-to-use ingredients is the Hormel Cure 81 ham. There are no preservatives, no added nitrates and it’s so versatile! 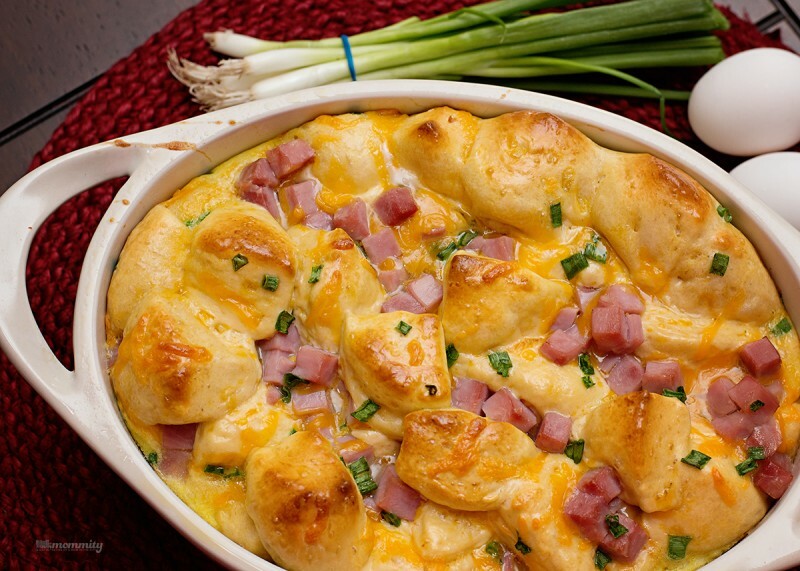 We grab this for salads and recipes like this ham, egg and cheese monkey bread. Preheat your oven to 350°F and spray your pan with cooking spray. This would work best with a 9X13 pan. Start by mixing your eggs and milk until well combined. Cut each of your biscuits into quarters and combine into the bowl with your egg mixture. Gently stir, making sure that all biscuits are well coated. 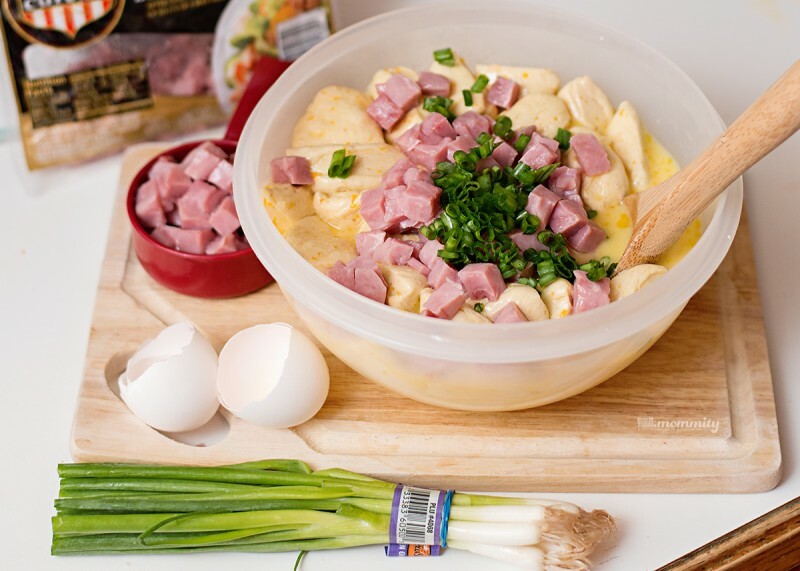 Fold in the ham, cheese and green onions. Bake for about 25 minutes, until the top is golden brown and your eggs are cooked. 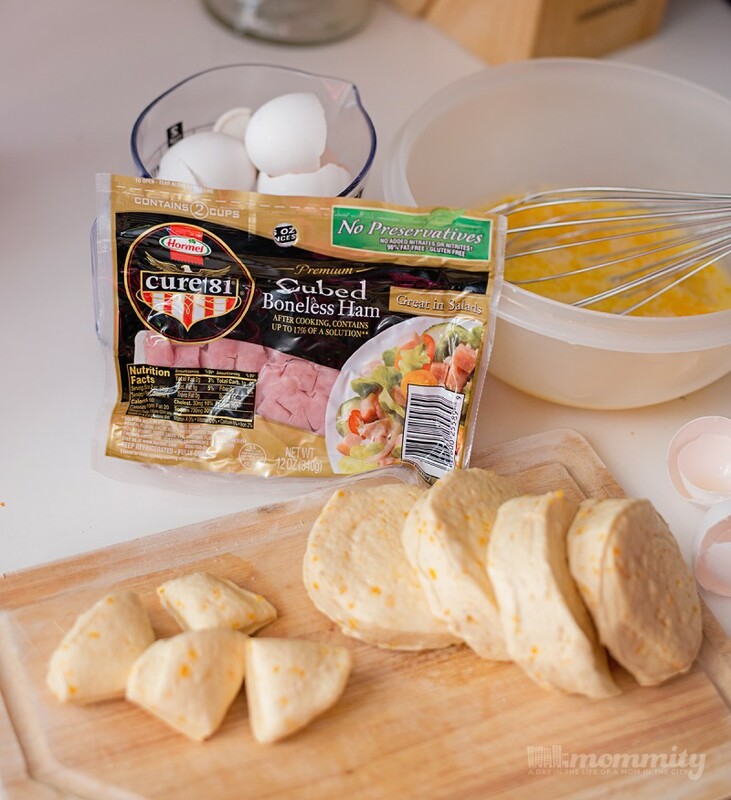 Visit Hormel Foods and find more Easy Recipe Ideas ! 1- The Hartman Group. Eating Occasions Compass 2013.